Here’s a quick but interesting little thing from TrueAchievements, who you might recall broke the news of there being a downloadable demo of Mega Man 11 coming well before there was any official announcement. 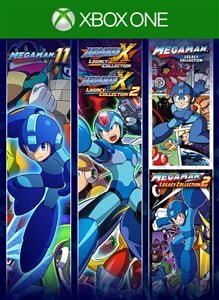 Unfortunately, there is no other information available, except that it will arrive on October 2nd — the same day Mega Man 11 will be released. Will there be a physical edition? Will there be any financial benefit to purchasing this versus each individual release piecemeal, or is it just a convenient way to get everything released the last few years in one purchase? And will it be available on any other platforms for those interested in such a purchase?